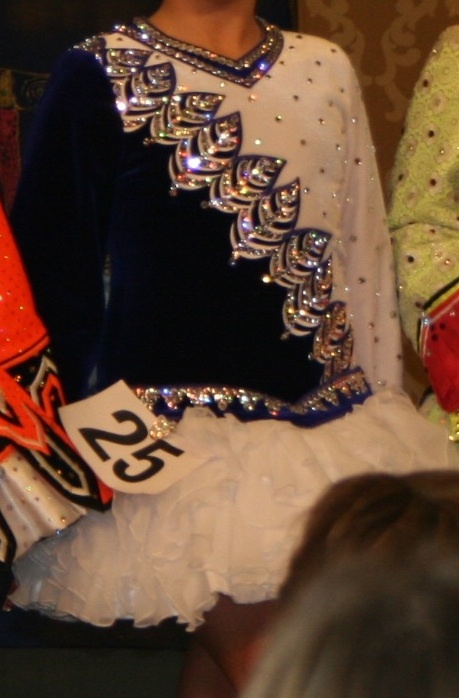 This beautiful Siopa Rince dress was made in October 2010, it has received many many compliments and it is truly striking on stage. 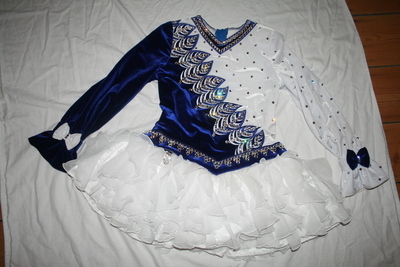 Hundreds of swarovski ss40s decorate the dress. 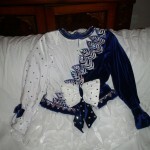 The dress is in excellent condition and has been cleaned recently. We are reluctantly selling this dress as due to growth. The dress comes complete with bloomers and headband. 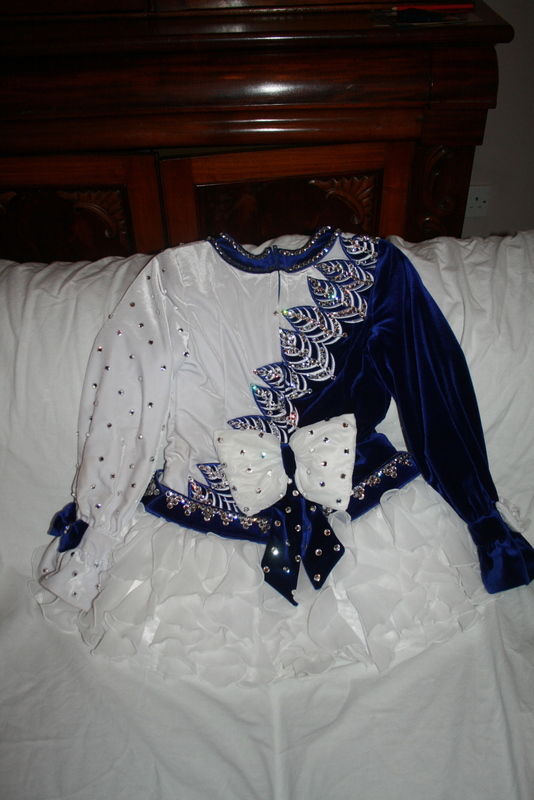 The measurements are the dress measurements not the child, Siopa Rince recommend an inch for room. Please email me for further pictures and for delivery costs. Returns will be accepted if the buyer pays postage. There is plenty of room to let out or take in. Asking Price: €850.00 ono. Shipping costs are not included in the asking price. Will accept returns and refund the cost of the dress, buyer to pay all shipping costs.